Established in 2011, Smt. K .K. Patel MBA/MCA College, Palasar is approved by AICTE and one of the prestigious institute of Gujarat Technological University, Ahmadabad. Smt K K Patel MBA MCA College, Patan offers various graduate courses as well as Post Graduate courses. Smt K K Patel MBA MCA College, Patan is affiliated to Gujarat Technological University, Ahmedabad. 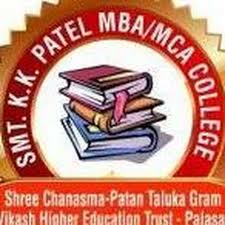 List of facilities available at Smt K K Patel MBA MCA College, Patan for students.